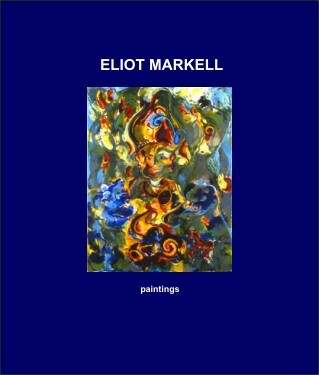 Eliot Markell "Paintings" is a 22 page, 8.5x7 inch, artist catalog that contains 10 pages of art works in full color, artist statement and bio. Quantity of 10 - complete project cost would have been $175. Layout and printed by Rich Fog Micro Publishing.